— Dr. Brandie Nemchenko, "What you Don't Expect When You're Expecting"
Dr. Brandie Nemchenko is the owner of a large multi-doctor practice in southeastern Pennsylvania and is the Clinical Director of Bloom Holistic Care for Pregnancy. She has been certified by the ICPA in Webster Technique and with their Pregnancy and Pediatrics program since 2002. A former college athlete herself, Dr. Brandie is trained as a sports chiropractor. After almost losing her daughter in 2007 and not being able to practice, she extrapolated the procedures and research to pregnancy in a safe way. She is also a paramedic and worked in emergency rooms for many years. 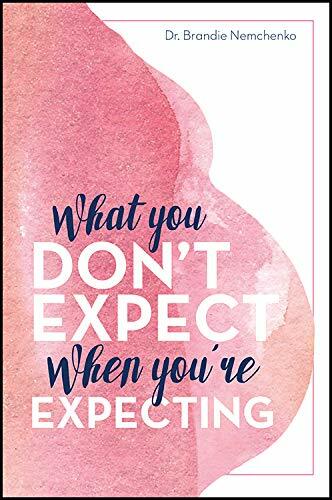 The mother of two gorgeous girls, and married to chiropractor, Dr. Arthur Nemchenko, Dr. Brandie released her first book, What You Don't Expect When You're Expecting in September 2018.